Background and Objectives: Conservative caries removal has become an integral part of minimally invasive dentistry (MID). Polymer burs and chemomechanical caries removal are two feasible methods of MID. 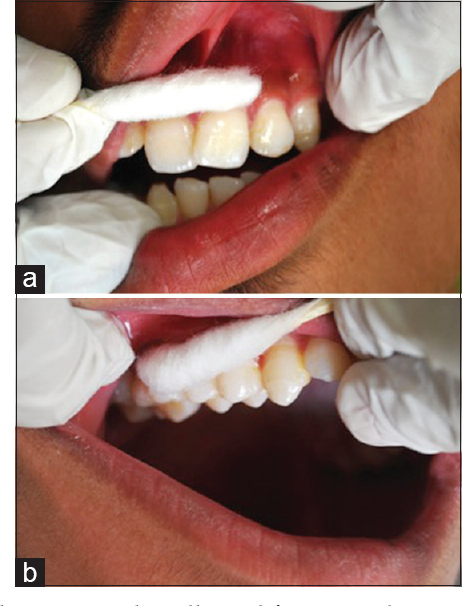 The objective of this study was to assess and compare the efficacy of polymer bur and chemomechanical caries removal agent clinically and microbiologically for selective removal of infected dentin. Methods: A total of fifty primary second molars with occlusal decay involving dentin were selected from 25 patients aged between 5 and 9 years. They were randomly allocated to Group A (polymer bur group) and Group B (Carie-Care group) for caries removal. Completeness of caries excavation was assessed clinically with the application of caries detector dye. Dentinal samples were collected before and after caries removal and cultured in Luria-Bertani Agar, and total viable count was assessed. All the teeth after caries excavation were restored with Type 2 glass ionomer cement. The data obtained was tabulated and statistically analyzed using paired t-test and Chi-square test. Results: There was a statistically significant reduction in the mean microbial count before and after treatment in polymer bur group and Carie-Care group. The reduction in mean microbial count was found significantly higher in polymer bur group compared to Carie-Care group. There was no significant association was observed between the two groups when efficacy was assessed clinically. Conclusions: Both polymer bur and Carie-Care were efficient caries removal agents when assessed clinically and microbiologically. Polymer bur was found to be more effective than Carie-Care when assessed microbiologically. Background: Sickle cell anemia is a congenital hemoglobinopathy characterized by deformed red blood cells. Oxidative stress plays an important role in the pathophysiology of sickle cell anaemia as it destroys free radicals, and thereby depleting the protective mechanisms such as antioxidants in serum. These antioxidants are essential to protect against harmful oxidation-reduction reactions preventing oxidative damage to the cells. Aim: To evaluate and compare the Total Antioxidant Capacity (TAC) of serum and saliva in sickle cell anemia patients. Materials and Methods: A total of 150 children aged 4-12 yrs were selected and divided into two equal groups: Children suffering from sickle cell anemia and healthy controls. Blood and saliva samples were collected aseptically from both groups and were subjected to phosphomolybdenum method. Absorbance was read spectrophotometrically at 695 nm. The concentration of total antioxidants was obtained by plotting absorbance of the test against the standard graph. Results: TAC levels in serum (0.29±0.19) and saliva (0.29±0.14) of sickle cell anaemic patients was reduced when compared with serum (0.32+ 0.18) and saliva (0.33+ 0.16) of the healthy children. The correlation between levels of TAC in saliva and serum was found to be statistically significant in sickle cell anaemic patients. Conclusion: A significant correlation of the TAC was found in saliva and serum of the patients with SCA suggests that saliva could be used as a non invasive alternative for assessing the antioxidant status in patients with SCA. Background: Enamel remineralization potential of variety of products has been established, but there is a lack of evidence of comparison of remineralization potential of natural versus synthetic products. Aim: The aim of this study was to compare the enamel remineralization potential of saliva, cheese, casein phosphopeptide-amorphous calcium phosphate (CPP-ACP)-based synthetic agent, and fluoride toothpaste. Design: In situ study was carried out on sixty individuals who wore an intraoral appliance containing demineralized enamel slabs for each agent. One out of six slabs was kept as a control so as to record the baseline values (neither subjected to demineralization nor remineralization). Experimental agents were applied on the designated enamel slabs on day 1, 4, 7, and 10 with a crossover wash out period of 7 days. Quantitative values of mineral content of slab were measured using energy dispersive X-ray and qualitative changes in surface topography of slab were seen under scanning electron microscope at ×20K magnification. Results: Highly significant changes from baseline values were seen in calcium and phosphorus content of slabs treated with cheese and CPP-ACP-based agent whereas levels of fluoride were significantly higher in enamel slabs treated with fluoride-containing toothpaste. Conclusion: Cheese is an organic, economical, and user-friendly option over prescribed synthetic agents. A synergistic effect of fluoride-containing toothpaste with intake of cheese could be a good enamel remineralization protocol. 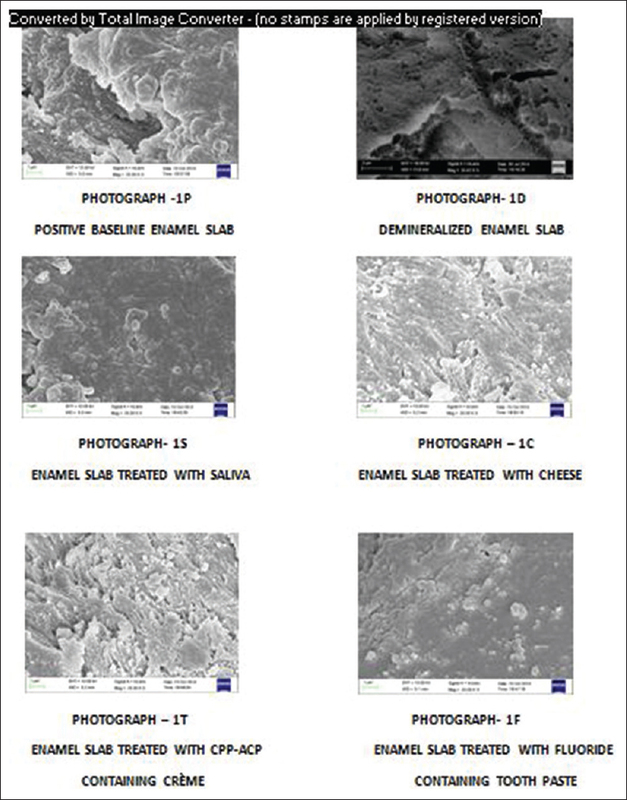 Aims: To compare antibacterial effect and physical properties of chitosan (CH) modified glass ionomer cement (GIC) (10% v/v), chlorhexidine-cetrimide (CHX-CT) modified GIC (2.5/2.5% w/w) and conventional GIC. Materials and Methods: A total of fifty healthy children of age 7–12 years were selected and randomly assigned to class A and B for in vivo analysis. Slabs of CH modified GIC (Group II) along with slabs of conventional GIC (Group I, control) were cemented on buccal surfaces of maxillary molars (split-mouth technique) for class A children. Similarly, slabs of CHX-CT modified GIC (Group III) were cemented against control (Group I, control) in class B children. Slabs were assessed after 48 h for microbial load of Streptococcus mutans and Lactobacillus (LB) on mitis salivarius-bacitracin and Man Rogosa Sharpe agar media, respectively. Agar diffusion test was done to access the antibacterial effect of each group against Streptococcus muatns and LB. Slabs and cylinders of GICs were made for in vitro evaluation of compressive and flexure strength in each group. Results: Comparison was done by nonparametric Kruskal–Wallis analysis followed by Dunn's multiple comparison test. Categorical groups were compared by Chi-square test. The increase in antibacterial activity (Group II > III > I) (P < 0.001) and marked increase in compressive and flexure strength (Group II > I > III) were observed. Conclusions: In the view of findings, it is concluded that CH modified GIC would be effective in inhibiting the bacteria associated with dental caries along with improved physical properties when compared with CHX-CT modified GIC and conventional GIC. Objective: To determine the prevalence and counts of Streptococcus mutans and Candida species in orthodontic fixed appliance therapy patients and comparison of the efficiency of manual and electronic toothbrushes on minimizing plaque by reducing S. mutans and Candida species in above-mentioned patients. Materials and Methods: The study was carried out on total number of sixty patients scheduled for orthodontic treatment (age group: 13–18). Plaque samples were collected to determine oral carriage of S. mutans and Candida of these patients, and readings were noted at T0 (before appliance placement), 2nd and 3rd month after the placement of appliances (T1 and T2). Counts of S. mutans were determined using Dentocult SM kit. Candida was cultured on Sabouraud's dextrose agar. 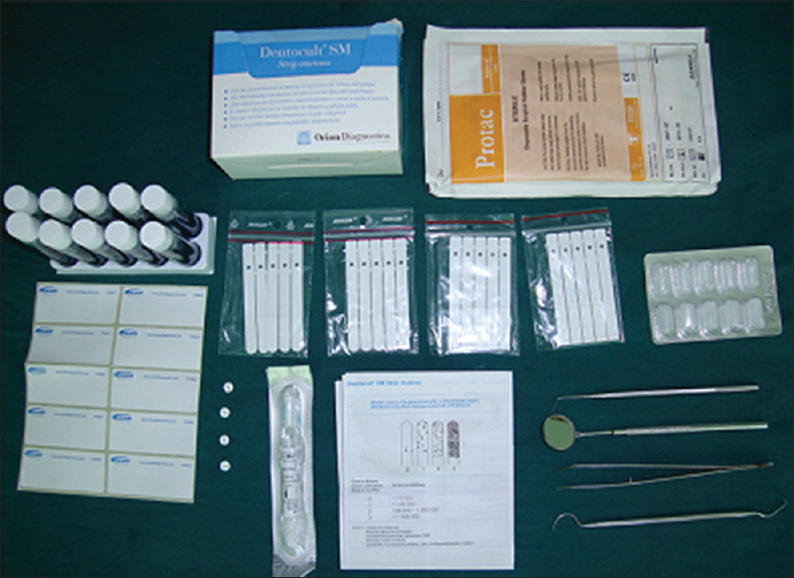 The participants in the study group (orthodontic patients) were then divided into two groups each of 30: Group 1 (manual toothbrush), Group 2 (electronic toothbrush), and plaque samples were taken at the end of 1st, 2nd, and 3rd month to determine the efficacy of manual versus electronic toothbrushes. Results: After orthodontic treatment, colonization of S. mutans and Candida increased dramatically. Results for S. mutans counts and Candida clearly showed superiority of electronic tooth brushing over manual tooth brushing during orthodontic treatment. Conclusion: Results clearly showed that orthodontic appliances increase colonization of S. mutans and Candida albicans in oral cavity over the period of treatment time which can be controlled with proper timely brushing. The study also concludes superiority of electronic tooth brushing over manual tooth brushing. Aims: This study was conducted to evaluate and compare the antimicrobial efficacy of green tea catechin as a mouth wash on colony count of Streptococcus mutans in children. Materials and Methods: A sample size of thirty children was selected out of screened 290 children by simple random sampling between the age group of 7 and 12 years. The study was conducted over a period of 2 weeks. After 24 h of oral prophylaxis, the baseline samples were collected and each group was subjected to mouth rinsing with green tea mouth wash for 2 weeks and further plaque and saliva samples were collected at 1- and 2-week intervals from baseline. Microbiological analysis of plaque and saliva samples was done by Dentocult SM strip kit (Orion Diagnostica, Finland), and the results were statistically analyzed and tabulated. Results: Statistically, there was highly significant reduction in S. mutans count in plaque as well as in saliva for after 1- and 2-week intervals from baseline. Conclusion: Hence, finally, our study showed that green tea catechin is effective as a mouth wash against S. mutans and having better action in plaque as compared to saliva. It can be used as an adjunct to commercially available mouthwashes. Background: Periodontal diseases are known to set an inflammatory response at the systemic level which can adversely affect the pregnancy outcomes, and many patients are unaware of this association. Health-care providers play a vital role in educating patients toward maintaining good oral health; hence, our study was planned to evaluate the knowledge, attitude, and practices of dentists' and gynecologists' concerning this link. In addition, referral to the dentists' during the preconception period was also emphasized. Materials and Methods: This was a cross-sectional questionnaire survey conducted among dentists and gynecologists' in the city of Mysore. The participants were divided into two groups and were asked specific questions about the association between oral health and preterm low birth weight (PTLB). Group I constituted the dentists possessing both graduate and postgraduate degree and Group II were the gynecologists'. Results: Seventy-nine percent of the total participants agreed about the link between periodontal health and PTLB. Dentists were more aware of the periodontal changes during pregnancy and stressed on frequent dental checkup during pregnancy. Preconception care was a neglected part of the protocol by the gynecologists', and only 12% of them referred patients to a dentist in the preconception period. Factors significantly associated with knowledge in logistic regression analyses were older age, dentists and the years of experience (>5 years). Conclusion: Knowledge about oral health is important, to maintain good general health; hence, health workers should not miss opportunities to contribute to this health promotion. An integrated work by the dentists and gynecologists may reduce the adverse pregnancy outcomes associated with periodontal diseases. Background: Tooth agenesis is the most common dental anomaly which causes serious problems in humans. Many theories were asserted to explain the main etiologic factor of this anomaly, and genetic factors were considered as primary reasons. Aims: The aim of the present study was to evaluate the relationship between incisor and premolar tooth agenesis and to reveal a considerable data about combinations of incisor-premolar agenesis and their frequency. Settings and Design: According to inclusion and exclusion criterion, archived panoramic radiographs of nonsyndromic 6535 patients (4077 females and 2058 males) ranging in age from 7 to 18 years old were retrospectively examined to find the presence of tooth agenesis. Panoramic radiographs showing at least one tooth agenesis were recorded, and the missing tooth or teeth excluding third molars were noted. Methods: Combinations of incisor-premolar tooth agenesis were listed, and the most affected teeth groups were noted. Statistical Analysis Used: Collected data were statistically analyzed using Chi-square test or Fisher exact's Chi-square test. Results: Three hundred and eight patients (4.7%) who had at least one tooth agenesis and 648 missing permanent tooth, excluding third molars, were detected. Although the sample size of females was bigger than males in all examined patients, tooth agenesis was detected significantly more in males than females (P = 0.021). Thirty-two patients (10.4%) had both incisor and premolar agenesis, and of all patients, twenty patients (6, 5%) were found to have both maxillary lateral incisor and mandibular second premolar agenesis. Conclusions: Combinations of tooth agenesis are an issue which has begun to take attention recently. The results of the present study may provide empirical data for further genetic studies. 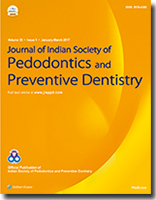 Objective: The objective of this study was to estimate the prevalence of dental anomalies in primary dentition of Indian population. Materials and Methods: This cross-sectional study was conducted on 4180 children in the age of 2–6 years. Anomalies were classified based on Kreiborg criteria. The term “double tooth” was used to avoid misinterpretation between gemination. and fusion. Patients having radiographs were also examined for associated dental anomalies in permanent dentition. The occurrence and gender prevalence were evaluated using descriptive statistics. Results: About 95. (2.27%) children exhibited at least one dental anomaly. Thirty.seven children showed 51 missing teeth. (0.88%), mostly in lower right incisors with a statistically significant difference between arches. (P = 0.0056) Nine children. (0.21%) had supernumerary teeth commonly in the right maxilla. Two cases of oligodontia. (0.04%) and talon cusps. (0.04%) and one case of triple tooth. (0.02%) were observed. Forty children. (0.95%) had 43 double teeth mostly in the right mandible with a statistically significant difference between the arches. (P = 0.0105). No significant difference was observed based on gender and arch, but they were statistically significant between the right and left sides. (P = 0.018). Among the children with radiographs available, 45% showed anomalies in the succedaneous dentition. Conclusions: The prevalence rates of children with double tooth, hypodontia, and hyperdontia in our study are 0.95%, 0.88%, and 0.21%, respectively. The overall prevalence rate of anomalies among boys was higher than girls. Introduction: Children attend primary school from as early as 6 years to the mixed dentition stage of about 9 years and spend most of their time in school along with the teachers. School teachers are likely to be among the first to see a child immediately after an injury has occurred, and their knowledge regarding emergency procedures is critical to ensure good prognosis of the clinical treatment. Purpose: The purpose of the study was to evaluate, by means of a questionnaire, the primary school teacher's knowledge and attitude with regard to emergency management of traumatized avulsed teeth and to test the effectiveness of a health education tool. Methodology: A total of 214 primary school teachers from 24 government schools, in and around East Madurai Panchayat, participated in a 3-month long study. Baseline data were collected using a pretested questionnaire in the 1st month. Based on that data, a health educational tool was prepared. The final assessment was made using the same questionnaire in the 3rd month. Baseline data and final data were compared using Z-test. Results: The knowledge level of 70.83% of primary school teachers was in the very good category after the health education tool, which was initially nil. Similarly, the attitude level also raised drastically with 0.90% initially in the very good category, and after the health education tool, it was 41.20%. Conclusion: From this study, the importance of the need for the steps to increase the knowledge about the emergency management of avulsion is clearly understood. Thus, the main implication of the study is that a health educational tool regarding the emergency management of avulsion is necessary for the primary school teachers during their teacher training program. Aims: The aim of this study was to test the reliability of Moyer's and Tanaka-Johnston method of mixed dentition analysis among Lucknow population and also derive a linear regression equation that would predict sum of mesiodistal widths of upper and lower canines and premolars for both sexes. Setting and Design: Moyer's and Tanaka-Johnston mixed dentition space analysis were developed from a sample of North European descent children. Hence, it becomes questionable when applied to individuals with different ethnic origin. Materials and Methods: Actual mesiodistal widths of permanent upper and lower incisors, canines, and premolars were recorded on 100 dental casts for both sexes using digital Vernier caliper nearest of 0.02 mm. Predicted values of mesiodistal widths of permanent upper and lower canines and premolars were obtained using Moyer's probability analysis at the 75th percentile and Tanaka-Johnston method. 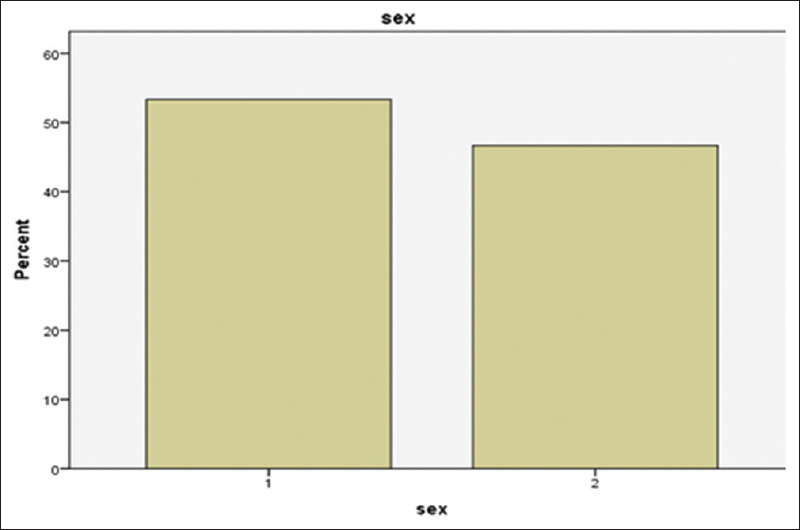 Both actual and predicted values for both sexes were put to statistical evaluation using student “t” test and unpaired “t” test. Results: Differences between the actual and predicted values of upper and lower permanent canines and premolars were statistically significant in both sexes (P < 0.05) for both Moyer's and Tanaka-Johnston mixed dentition analysis. Four linear regression, equations were developed for both sexes to predict mesiodistal widths of erupting upper and lower permanent canines and premolars using the lower incisors. No significant difference was observed when the regression equations were applied. Conclusion: Predictions from linear regression equations matched well with the data obtained from the samples of the present study for both males and females of Lucknow population. Aim: The aim of this study was to compare and evaluate secondary caries formation around light-cured fluoride-releasing restorative materials. Methodology: Standard Class V cavities were prepared on the buccal and lingual surfaces of forty extracted healthy premolars. The teeth were randomly divided into four groups of ten teeth each and labeled as Group I, II, III, and IV and restored with one of the following materials, namely, Fuji II LC (Group I), Vitremer (Group II), F-2000 (Group III), and Z-100 (Group IV; Control). The teeth were thermocycled and immersed in jars containing an acid gel for caries-like lesion formation. After 15 weeks, the samples were removed, washed, and sectioned buccolingually through the restoration. The sections were then grounded to a thickness of 80–100 µm. 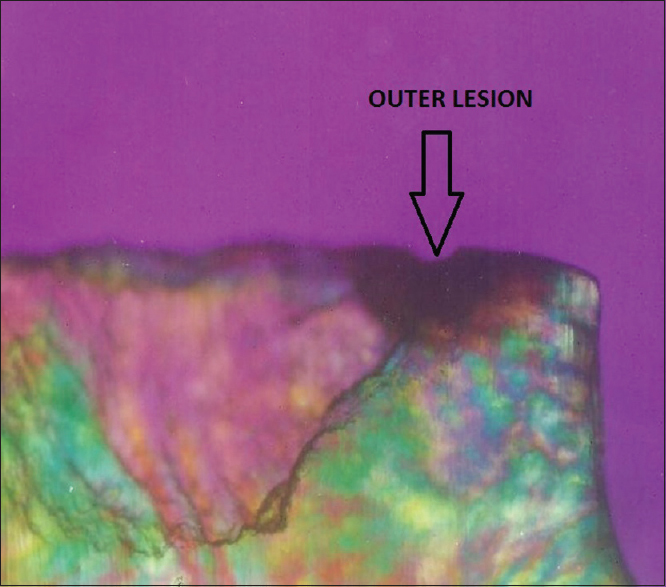 After imbibition in water, the sections were mounted on slides and lesions were examined, measured, and photographed with Leica DMRB Research Microscope. The observation recorded was subjected to (a) analysis of variance, (b) Studentized range test (Newman–Keuls), (c) Snedecor's F-test. Results: The depth of the outer lesion in teeth restored with Z-100 (Group IV; Control) was significantly higher than the teeth restored with F-2000 (Group III), Vitremer (Group II), and Fuji II LC (Group I) (P < 0.01). The depth of the outer lesion in teeth restored with F-2000 (Group III) was also significantly higher than the teeth restored with Vitremer (Group II) and Fuji II LC (Group I) (P < 0.01). However, there was no significant difference in depth of the outer lesions among the teeth restored with Vitremer (Group II) and Fuji II LC (Group I). No wall lesion (WL) was evident in teeth restored with Vitremer (Group II) and Fuji II LC (Group I). The WL length and body depth in teeth restored with Z-100 (Group IV; Control) were significantly higher than the teeth restored with F-2000 (Group III) (P < 0.01). Conclusion: It was concluded that Fuji II LC and Vitremer had a inhibitory effect on the development of WL and OL depth. Even though F- 2000 was not fully effective in preventing the development of WL, there was significant reduction in WL and depth when compared to Z-100. Introduction: Dental caries is one of the most prevalent infectious diseases to affl ict humanity. Although caries has multifactorial etiology, inherited genetic behavior and taste threshold may play an important role on caries. Material and Method: Thirty mothers and thirty children in the age group of 6–14 years of both sexes who have stable mental condition and ASA physical status were selected for the study & 6-n-propylthiouracil testing is done. Results: It is observed that nontaster siblings have higher caries prevalence than medium tasters and supertasters. Discussion: Genetic sensitivity to taste is an inherited trait in children from their parents, inheritance from mother being more pronounced. Hence, this study is intended. Conclusion: Dental caries is multi-factorial. No significant correlation between susceptibility of mother and child to genetic sensitivity exists, and genetic sensitivity is not the only criteria for severity. Early correction of developing class III malocclusions remains a complex challenge. Treatment approaches for these young patients have been directed at growth modification. Encouraging outcomes have been reported with the use of Class III functional appliances including reverse twin block (RTB) appliance. 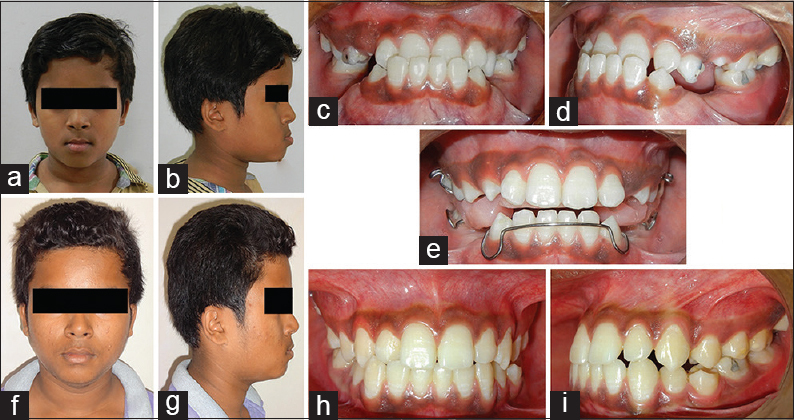 The present paper tries to provide an insight into RTB appliance used for successful interceptive management of developing class III malocclusion in two children. RTBs were fabricated with bite registered in the position of maximum possible retrusion of mandible with interincisal clearance of 2 mm and vertical clearance of 5 mm in the buccal segments. Anterior crossbite was corrected, and there was a marked improvement in facial appearance of the children. RTB can be a viable and effective functional appliance treatment modality for early management of developing class III malocclusion. This case report describes the management of tongue and lip lacerations due to dystonia in a 1-year-old infant. 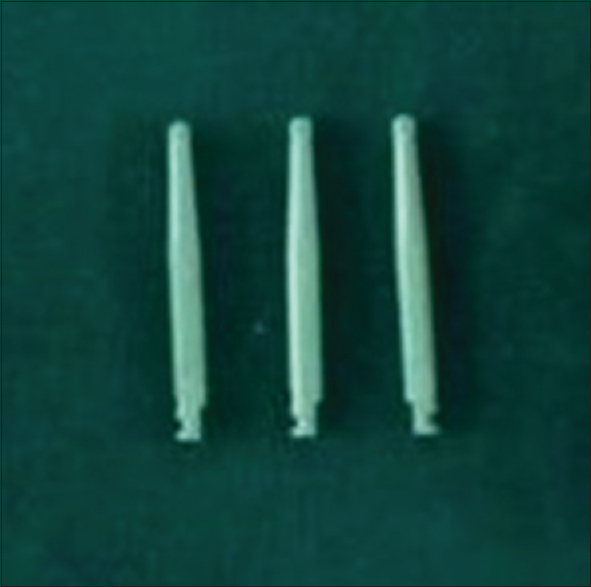 A splint was given to raise the bite and prevent repeated trauma and aid in healing of the oral tissue. This paper highlights the importance of pediatric dentist's role in improving quality of patient care in an intensive care unit. Ectopic eruption is a deviation from the normal eruption pattern, making the tooth erupt out of its normal position, and possibly causing resorption of adjacent primary teeth. A wide range of etiological factors may be responsible for ectopic eruption of the teeth, so their management depends on the correction of the established etiological factor. 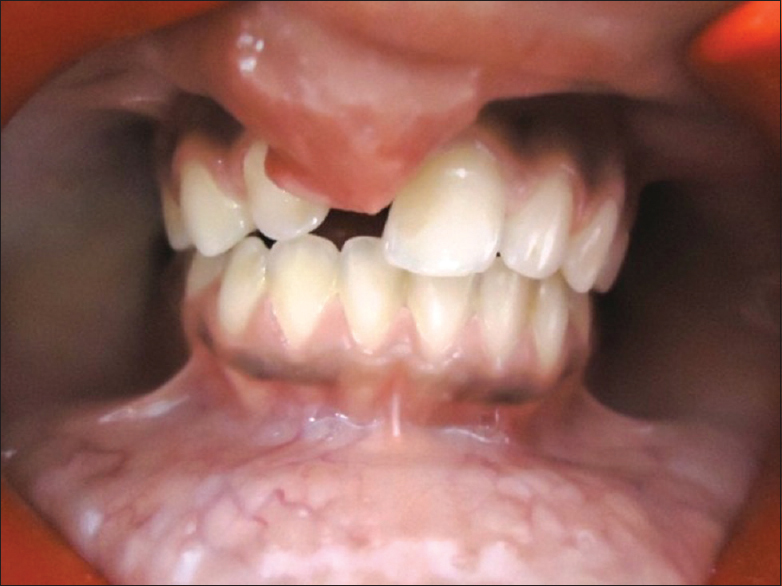 The present case report describes an unusual case of ectopically erupted central incisor encased within an abnormally thickened labial frenum, which was treated by orthodontic repositioning of the ectopically erupting tooth after frenectomy.